30 piece personalised wooden jigsaw puzzle will be a nice surprise gift! 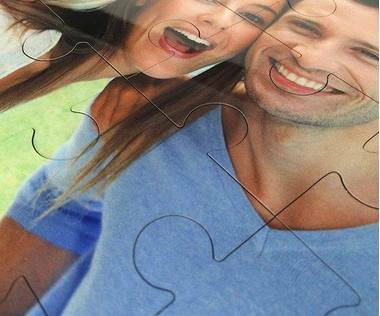 Make a surprise by creating a 30 piece wooden jigsaw puzzle with your own image. 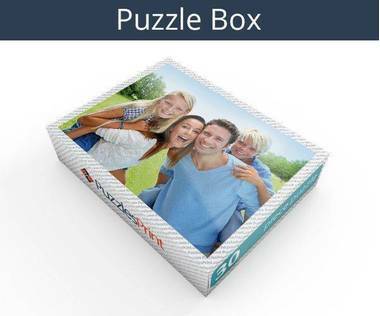 You can even add text message to make the jigsaw puzzle more personalised! 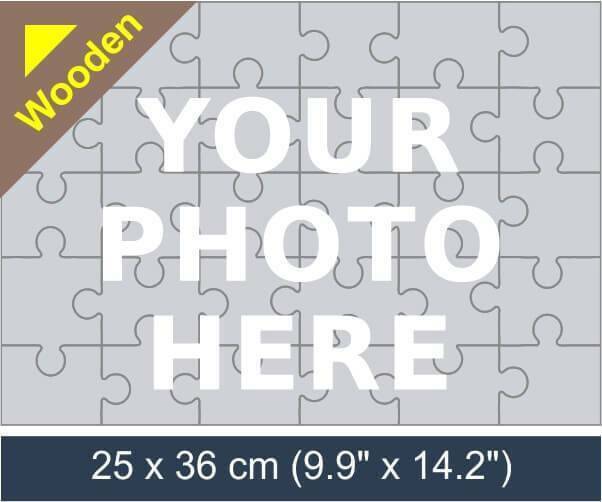 Our personalised wooden jigsaw puzzles are great photo gifts. Surprise your friends and family with a jigsaw puzzle that is made specially for them! Most people will look back to their childhoods with fondness and remember the gifts that were received. A 30 piece woodem jigsaw would always be exciting and there would be a feeling of pride once it was completed. Back then it would have been a cat or dog, or maybe the current popular toy but nothing along the lines of what is available now. Now it will be much more personal and a lot more exciting to receive. 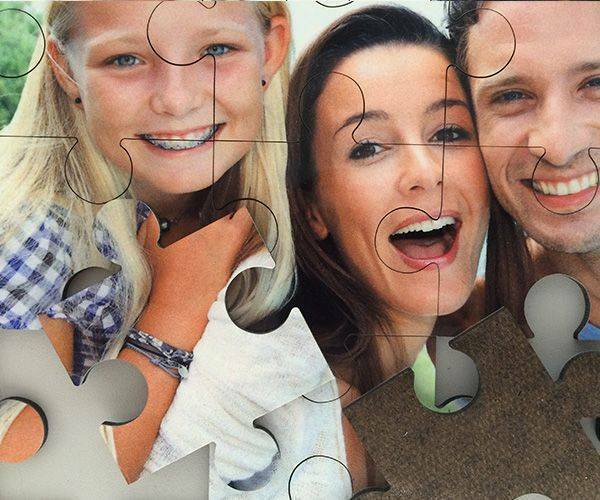 With a 30 piece wooden jigsaw, you can have a picture of whatever you want as long as you are able to provide it. With full details of what to do when making the purchase, the hardest thing to do will be limiting the number of children you want to provide them for. With photographs being taken with the regularity that they are nowadays, it will be easy to find the exact one that will be suitable for the occasion. While pictures are taken, too often they are not kept and people look back a few year and wish they had a reminder of a particular event. 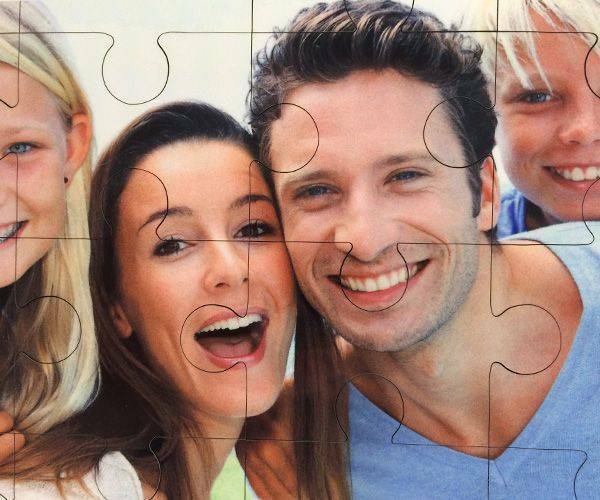 This can all change when the picture is turned into a 30 piece wooden jigsaw. 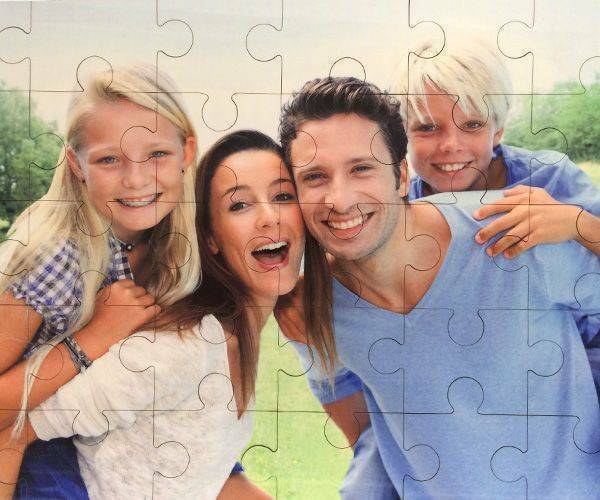 The pictures may be history, but the jigsaw will be a constant reminder. The delightfully made gift comes complete in a box that also bears the image. It will be easy to assemble and a joy to keep. Made of plywood, the pieces are long lasting and won’t get damaged when being used. The resolution of the picture has to be 2000 x 2800 and this is to ensure that the picture is clear. Once assembled it measures 9.9" x 14.2" and will be easy to take apart again. Storage is easy as it arrives in a box that bears the picture that has been chosen. As well as the picture that is on the front, there is a text box that can have a personal message put inside. If you want to get a happy child and keep them that way, then this is the way to do it. They will have hours of fun and will want to do it again and again.